Wales may not be the most obvious choice for a summer holiday but there is much more to this stunning country than first meets the eye. 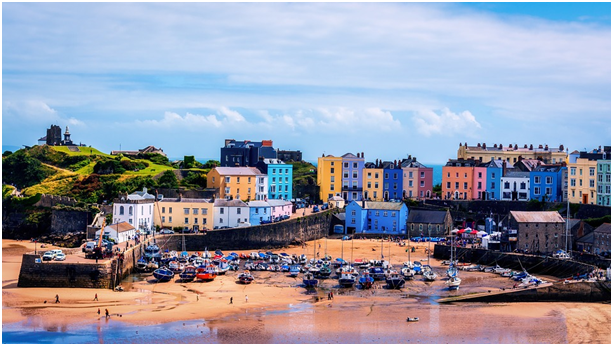 From rolling hills and picturesque valleys to miles of beautiful coastline, Wales is a holiday destination just bursting with memorable experiences. A report in The Mirror highlighted that there was a 10% increase in Brits opting to stay in the country rather than jetting abroad for their holidays last summer and that 80% of us agree that a ‘staycation’ is less stressful than venturing further afield. With this in mind, what top tourist treats can you enjoy in Wales this year? 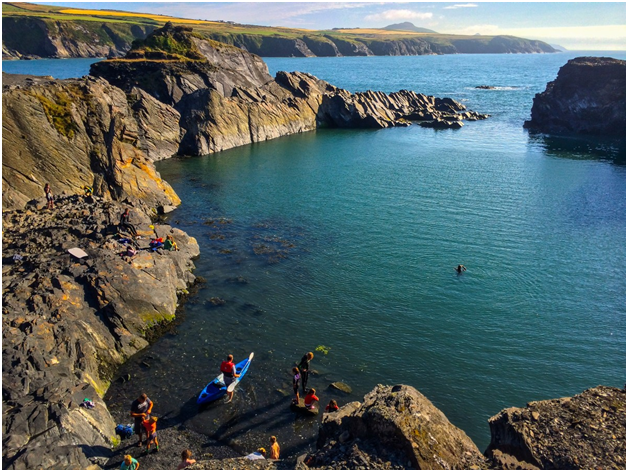 With plenty of coastline and ragged cliff fronts, the opportunity for thrill seekers to go ‘coasteering’ (which includes rock climbing, cliff jumping and swimming) is plentiful. You can even spend the night suspended on makeshift beds hanging from the cliff faces of Anglesey – an adventurous take on camping for willing Welsh Coast Campers. Or you can sit tight and watch the professional cliff jumpers make their daring descent into the sea: the Red Bull Cliff Diving World Series takes place in Abereiddy. This world-renowned book festival takes place annually in the picturesque market town of Hay-on-Wye. Don’t be deceived by the quaint setting – this literature festival is one of the most famous in the world and attracts writers, artists and politicians from across the globe. Welsh Coast Campers can help you set up nearby and enjoy the atmosphere. If you are a fan of hit TV shows such as Gavin and Stacey or Dr Who then there are plenty of opportunities to visit key settings for the shows in Wales. Barry in the Vale of Glamorgan offers tours dedicated to the popular comedy show, while Cardiff is home to the Dr Who attraction. Keen golfers will be pleased to hear that Wales is home to a whopping 200 golf courses in a variety of different settings. From large, well-known courses such as Royal St Davids to smaller, community-led courses, there really is something for everyone – why not tour the country trying out as many courses as possible? Wales really does pack a lot of stunning scenery into a small space! Discover your Welsh adventure this summer.